When it’s hot outside, it’s best to go with lighter wines, whether red, white or rosé. In the summertime, we aren’t going to eat heavy foods, we tend to go with lighter foods which are of course best paired with lighter wines. To choose the right wine let’s talk about the diverse types available. It is common knowledge that Pinot Noir is a classic lighter-bodied red wine. But it’s not commonly known how difficult the Pinot grape is to farm. Many times, it isn’t grown properly so inexpensive Pinot Noir may not be the best choice for a summertime red. The most cost-effective way to serve a Pinot-style wine for a group is to choose a wine made with a Gamay grape, which is most commonly found in Beaujolais wine. What I like about the Gamay grape is that it is close in characteristic and flavor to Pinot, but it creates a more consistent quality wine because it is easier to farm. Both light red wines are great summer choices to pair with food because they don’t overpower. Heavier red wines like Cabernet and Merlot are a better match with fall and winter menus. Rosé is trending up, so I am excited to talk about it. No longer looked at as “cheap or inexpensive,” rosé has picked up a lot of momentum in the last two years, especially among savvy white wine drinkers. 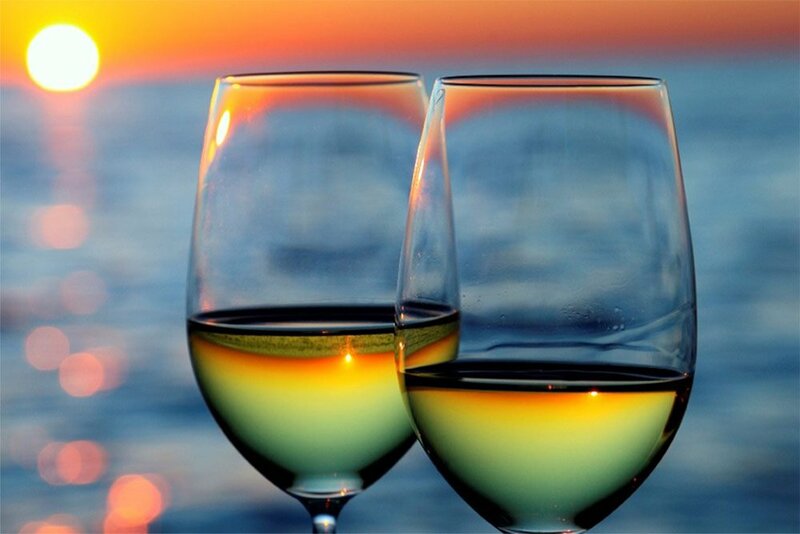 Pinot Grigio is where most wine drinkers start from as it has mineral qualities to it and is very neutral in flavor. Sauvignon Blanc has a lot of the citrus tones to it like grapefruit, lemon and lime, etc. If you are looking for a good across-the-board wine for an event, I recommend going with a Sauvignon Blanc. It is a good wine regardless of the price point, and its citrus tones complement a wide range of food. For summer celebrations, I recommend Prosecco. The charming sparkling white wine has a hint of sweetness that doesn’t weigh drinkers down during the dog days of summer. It’s a good event choice because of its price point and because it’s not as intense as champagne, so it is easier for many people to drink.